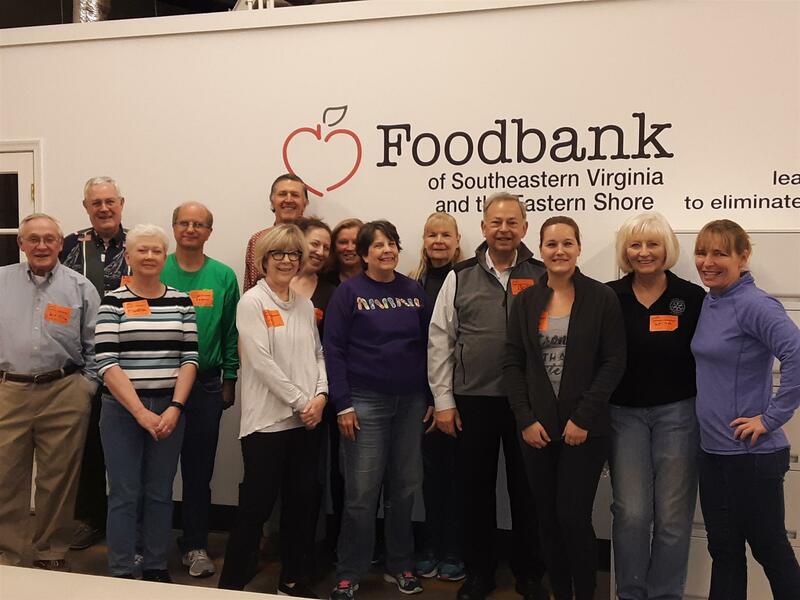 Rotarians and members of a teaching sorority joined forces at the Foodbank and packed 5970 meals which will be distributed in backpacks for school children to provide food for weekends. The backpack includes a balanced diet for breakfast, lunch, and dinner. Pictured above are the Norfolk Rotarians involved in this community service.